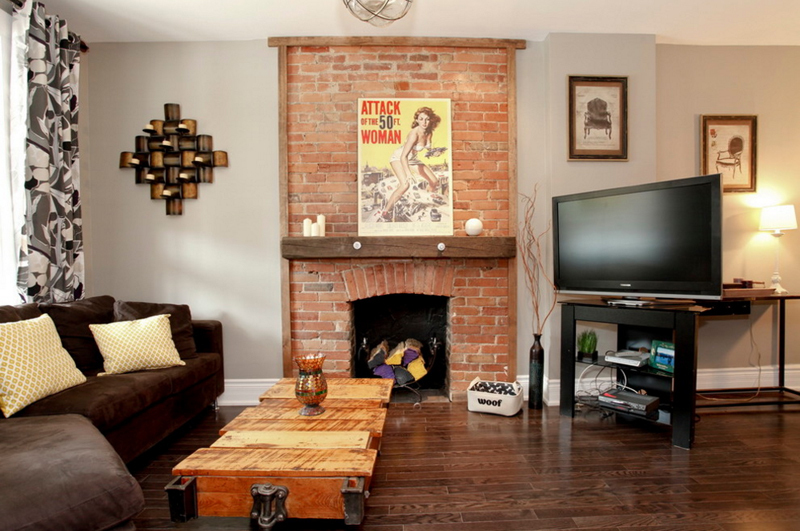 You may not be aware of it but fireplace mantles can have a huge impact to space. Are you into decorating your house for every occasion in the family or for the holidays? If your answer is yes, I think you and I both know that one part or portion of the house which we usually decorate or rearrange first is the fireplace mantle. Like any shelf in the house, especially in the living room (if your fireplace is in the living room), we know that it’s the mantle that is noticed first amongst anything inside the house. So, for today, you and I would be looking at fireplace mantles that have absolutely awesome ways that they were decorated. 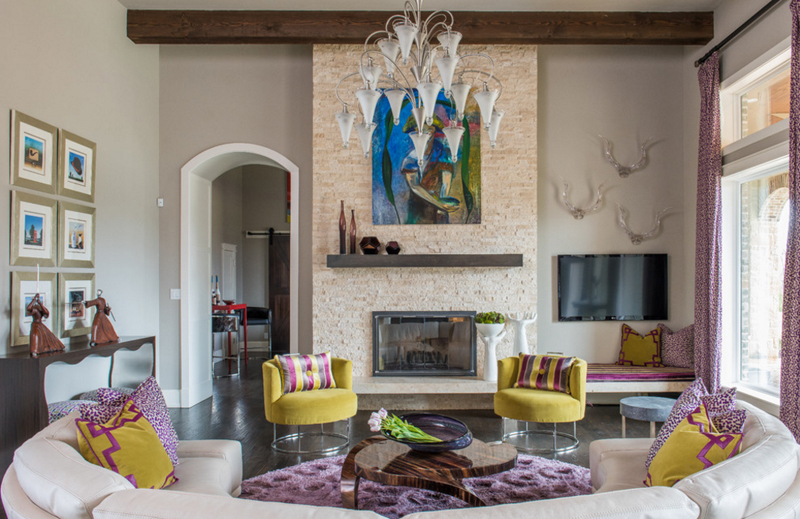 Most of the spaces that are in this list is eclectic – and for the most part, the designs that you’d be seeing are different ways that the mantle is decorated and what possible things could one combine with so that the mantle would look incredible! 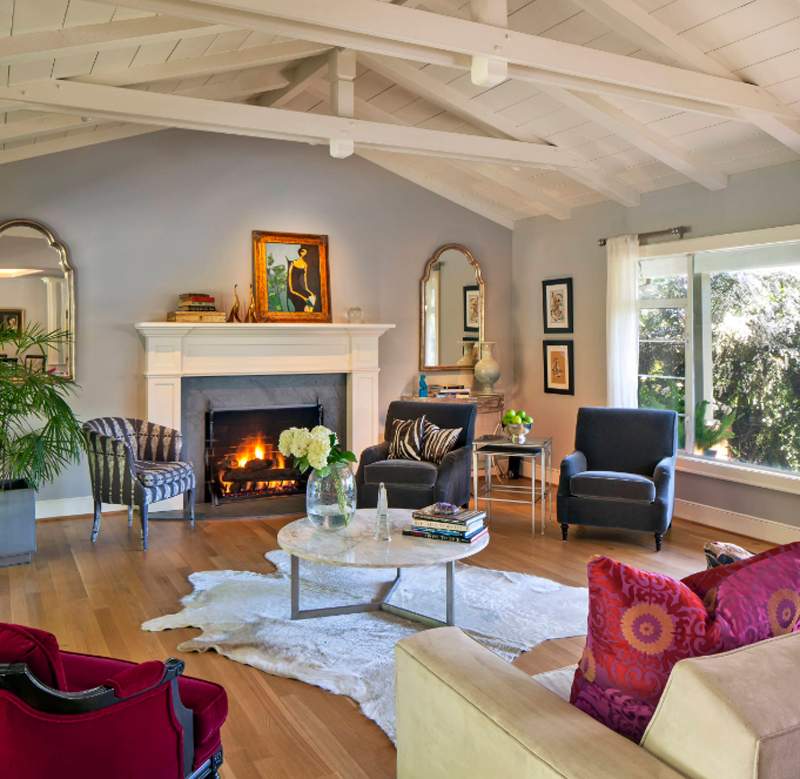 Without further ado, check out the living room mantles below! Would you agree that the beginning of this list is quite interesting and fun? 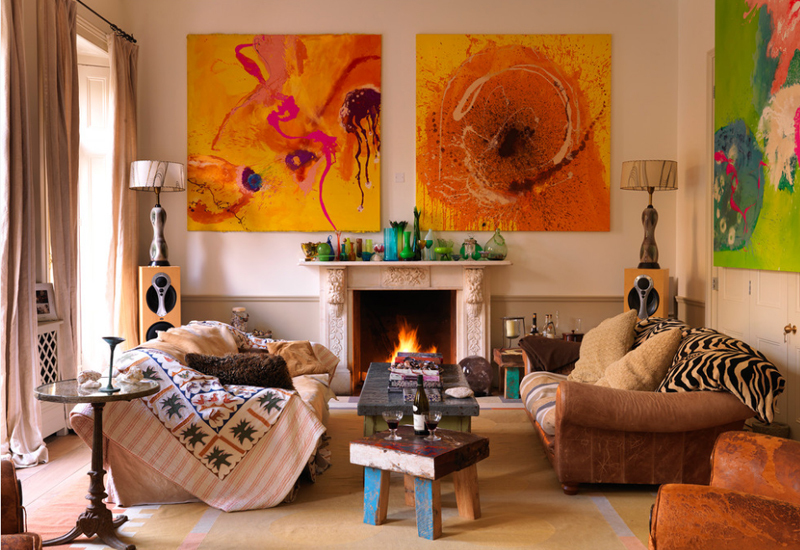 That’s the beauty with eclectic design – you can and are able to really add anything in your space so long as they actually match in one way or another with the other things inside the space; we do not want our living rooms or any part of the house looking tacky, right? I am not sure if I already shared this photo before with you guys, but I think that this is in fact one beautiful space to begin with. 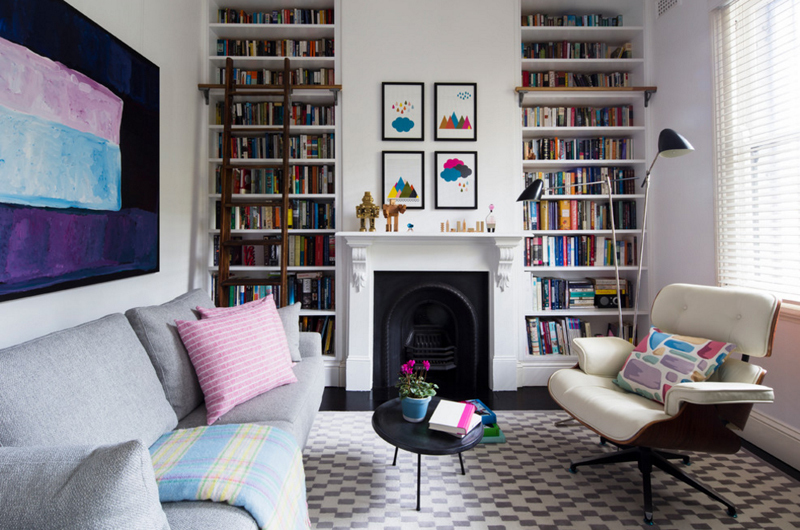 Second, I want you to note the floor to ceiling book shelves that squeezes the fireplace in the middle. The decors on the and above the mantle looks child-friendly and real nice – good vibes, I should say. When I found this photo, got confused for a bit because of the coffee table choice that they have; for a minute there, I thought I was wrong in adding this one on the list because this might be a dining area or something; but then any way, take a look at the free standing fireplace and white mantle that it is paired with, pretty awesome, right? The cool painting on the wall pretty much match the color of some of the throw pillows on the couch facing it. The high back arm chairs looks simple and vintage and pretty much reminiscent of our grandparents or dads who loves to read while seating on them. 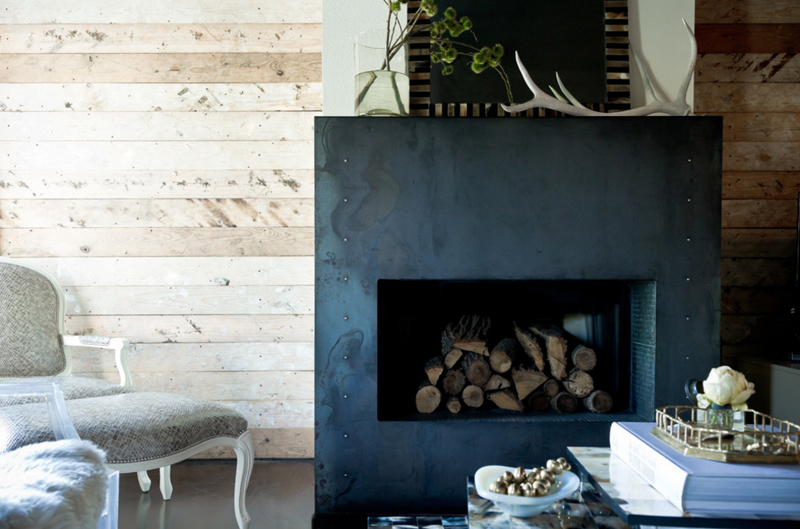 The tiled fireplace in this photo looks kind of cool. It looks real vintage and old, and even the color and size of these tiles seems really old school, I love it! Some people I know would love to have a stunning fireplace and mantle like this one. Check out the trinkets they added on it. This curved couch looks outstanding in this living room photo. Adding two mustard-colored arm chairs and pillows to match surely made it more incredible and perfect than it already is. 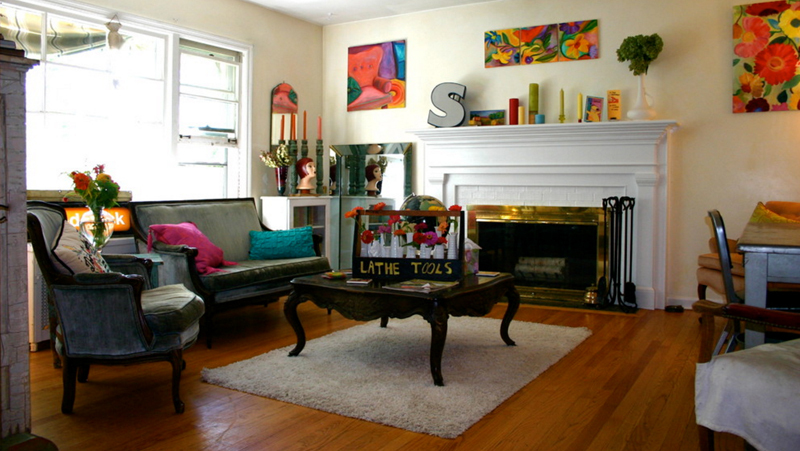 The simple mantle in here is basically a shelf that sits vases of varied sizes and design. Well, how much more can you ask for an eclectic design than this? 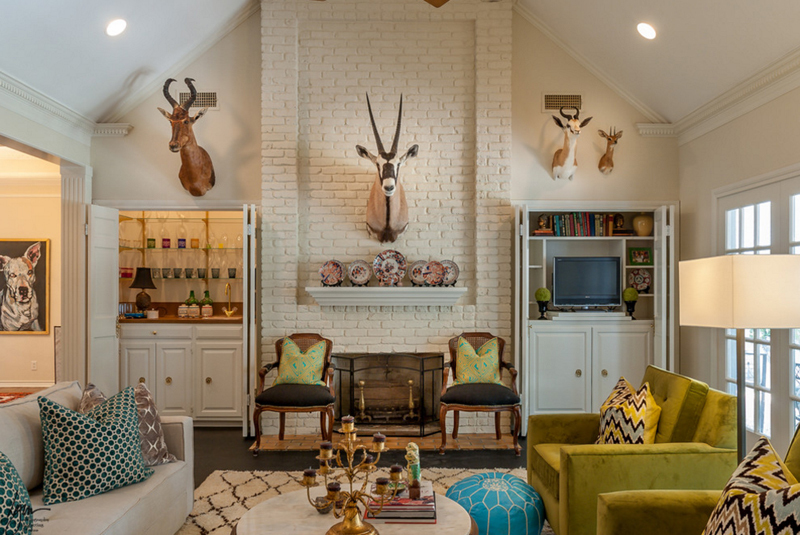 Just by looking at the animal heads present in this living room is quite insane. Even when they are not exactly on the mantle, it’s safe to say that they’re pretty much part of the mantle as much as the plates are. 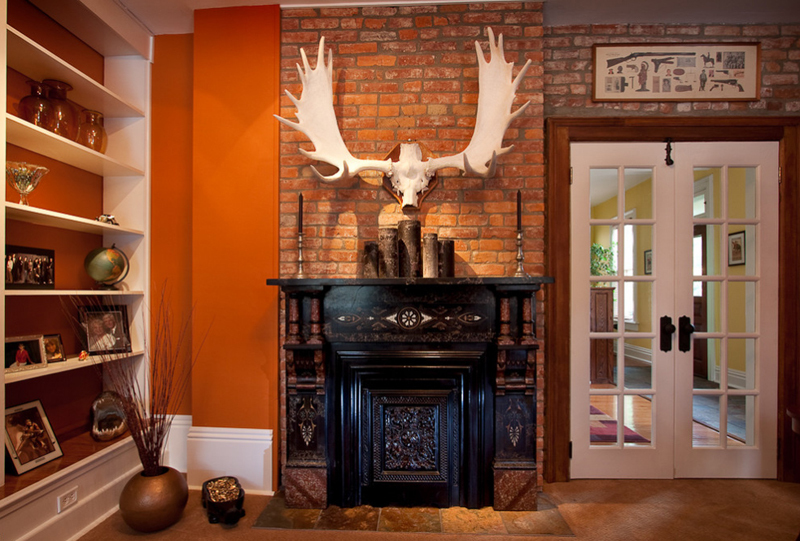 Another eclectic space that showcases a decorative fireplace and mantle which has the most interesting design and features that highly complements with things found on the mantle and the horns displayed just above it. 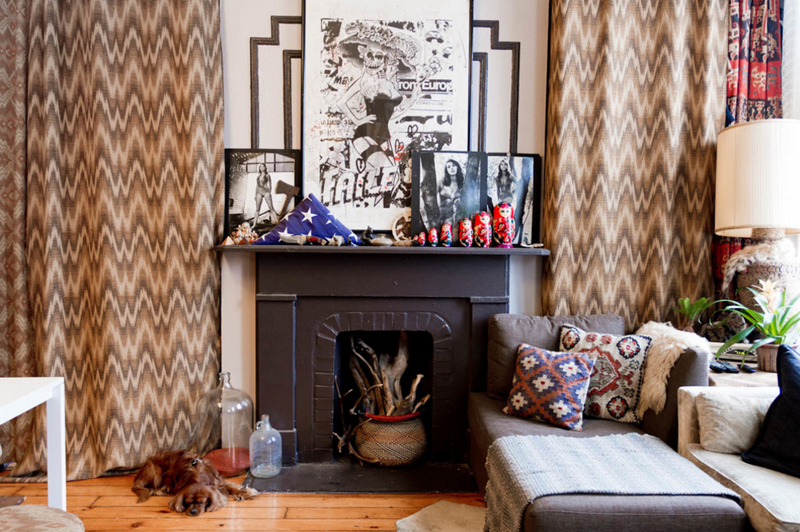 This studio in New York exhibits beautiful photos, Russian dolls and even a flag on the mantle. 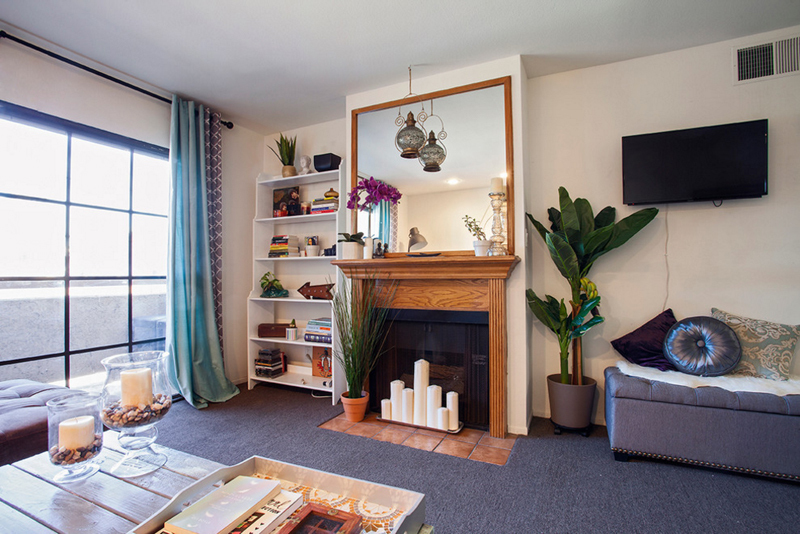 If you ask me, I think this hippie studio sure shows us what exactly what we are looking for in a studio apartment – enough space where we could actually display our most awesome collections! If I am not mistaken, this is the only mantle in this list that really brags its wooden finish! 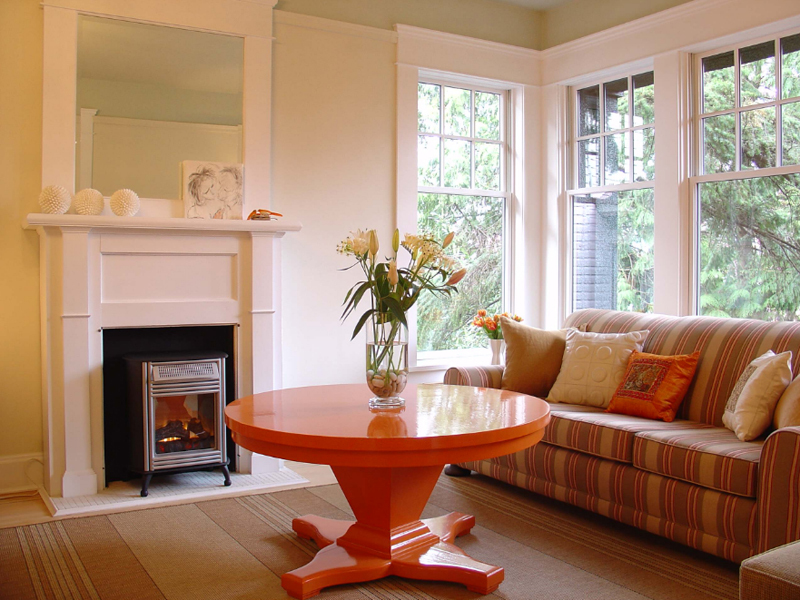 The color looks incredible and the large mirror on top of the mantle is just perfect and sweet to look at! I am even crushing on the plants and candles displayed in here! I know that there are basically two things that are displayed in the mantle in this living room, but did you notice the painting on the wall above the mantle? Pretty exclusive, right? This is one special painting, because I don’t think that they’d be adding that as the center of attraction for nothing, right? This might be one of the most common ways you can decorate your fireplace mantle – by adding a painting or an interesting photo and then adding in some books and some ceramic decorations, and you’re pretty much good to go! 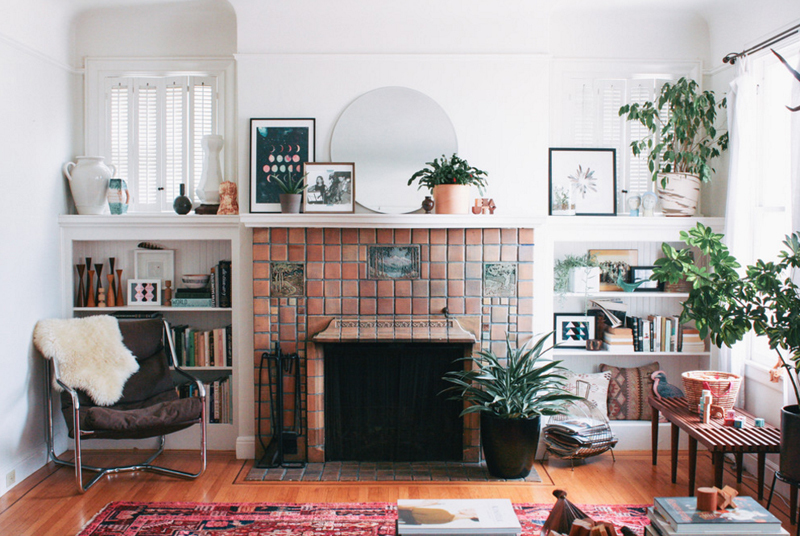 Want to display a lot of things on your mantle? Well, it looks like you can do that, no problem. 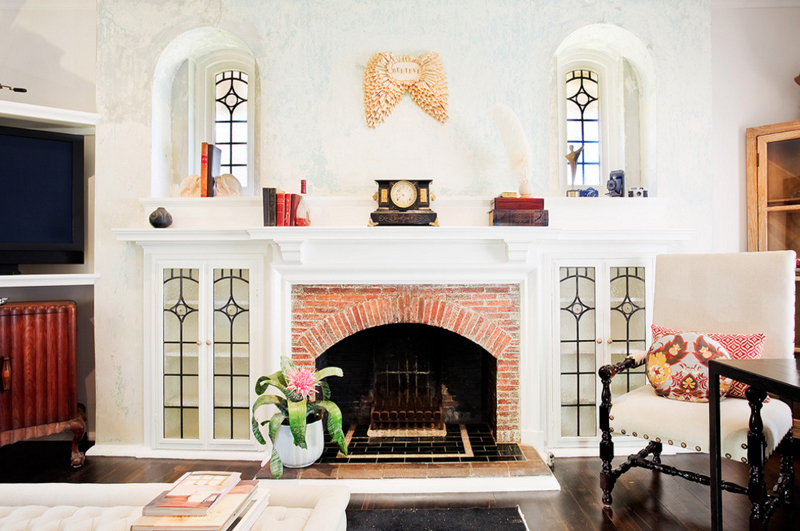 Look at the way that they decorated this mantle with all those things and it still looks awesome! 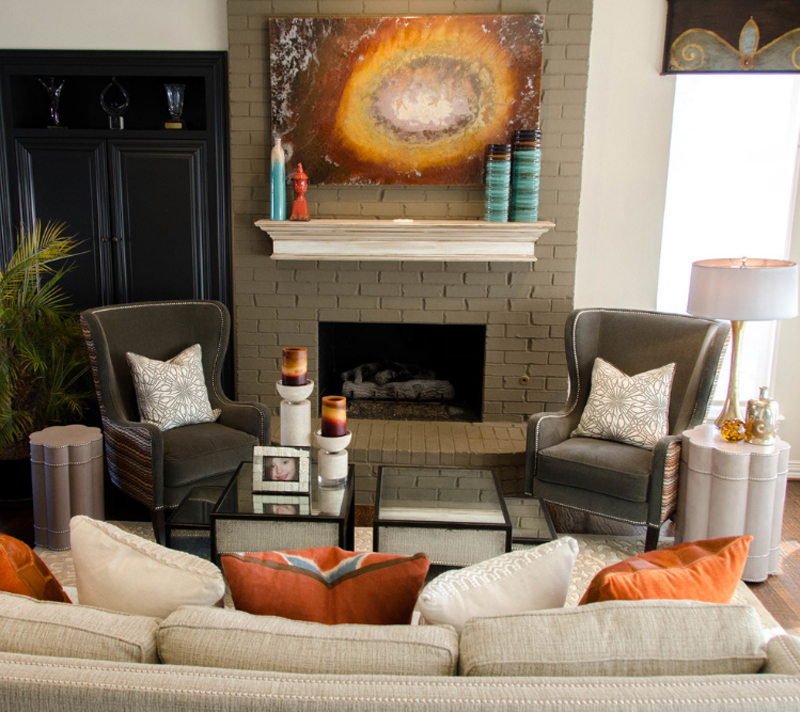 Of course, more than the mantle, you should notice the large paintings on the walls and the colorful things in this living room! 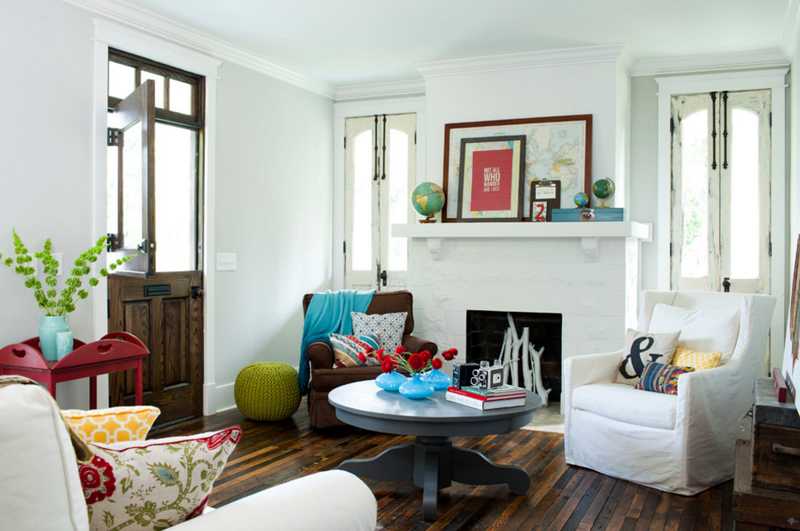 A white living room sure looks great for decorating! It’s what’s most interesting with white spaces because there is definitely a lot that you can do with it. Anyway, check out how cool it is to actually overlap paintings on the mantle and it still looks crazy cool! This might be one of my faves in this list. The fireplace looks old school and the white cabinets on the side and the windows above it look like this could pass for a chapel’s altar. Do you see the resemblance from what an altar in a chapel would look like? 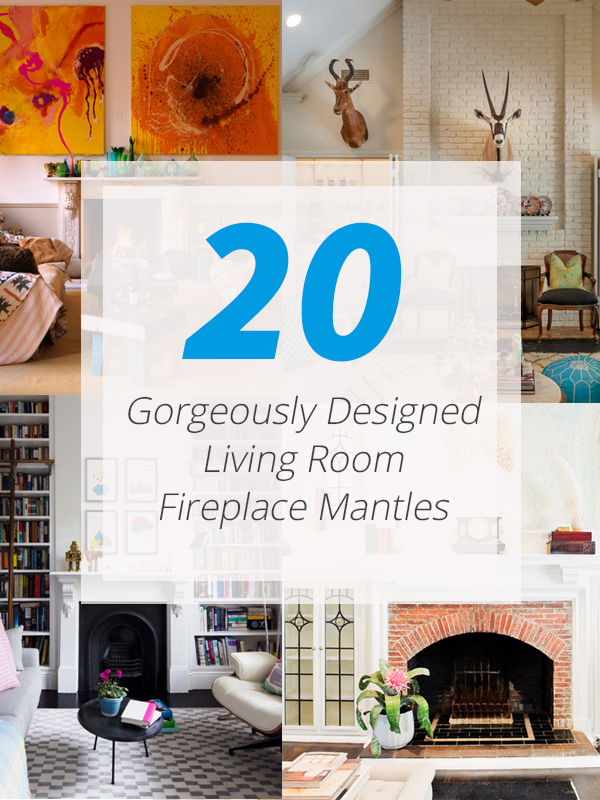 Now, this is my most fave on this list – didn’t add it in the beginning of the list because my taste might differ a lot from what you actually think fireplaces and mantles should look like. Arrangement inside this living room is pretty interesting and fun and very much cooler than you think. 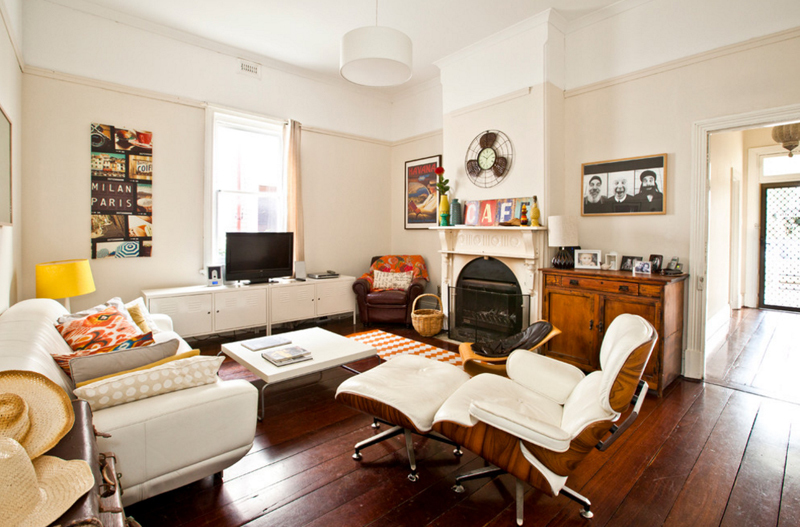 I love the clock that looks like a recycled electric fan above the fireplace! 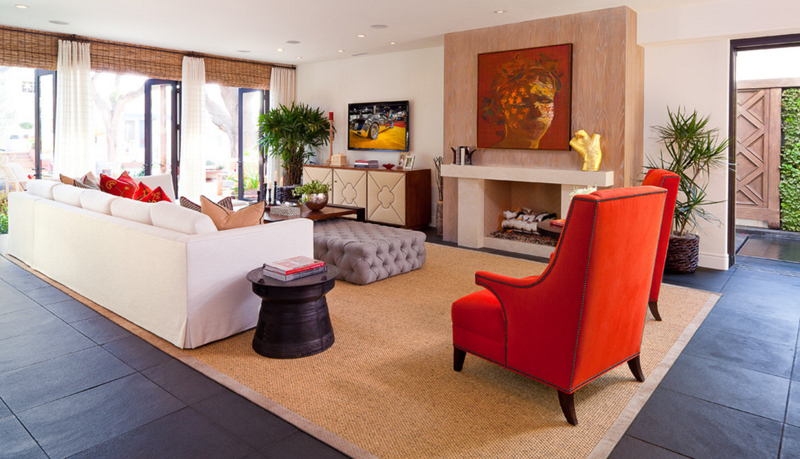 This eclectic space brags a hint of vintage to the entire space but still maintaining a contemporary design to it. I am totally in love with this mid-century chair and foot rest in this color – super charming! To be honest, I have included this house in a lot of lists that I have created before, but this is the first time that I was able to really look and enjoy what this fireplace and mantle actually looks like. 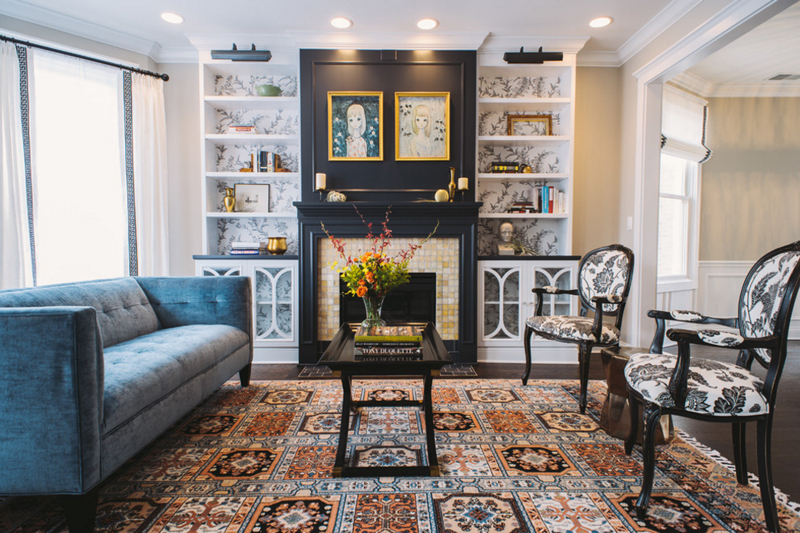 From the name of this project, can you tell me if you actually feel the ethnic flair that this living room is somehow bragging? I feel like this space is extremely pretty and very much contemporary but then again, who are we to really say that this does not have any ethnic flair to it? Last but not the least, is this incredible and fun-looking living room that could actually pass for a child-friendly space because of all the colorful things present in the space along with the nice thought that this space has lesser corners for a more adult home. Pretty, neat and actually inviting! Well, I sure saw different kinds of trinkets that we could add to our mantles to make it more interesting and eye catching. Whether or not it’s the fireplace mantle that you add your conversation piece, I think you agree with me with what I said a while back about the mantle being the first thing we see in the living room, right? Because if you do, you might want to also check out the 20 Living Room Mantles with Gorgeous Fall Decors because I think these mantles are just so pretty!